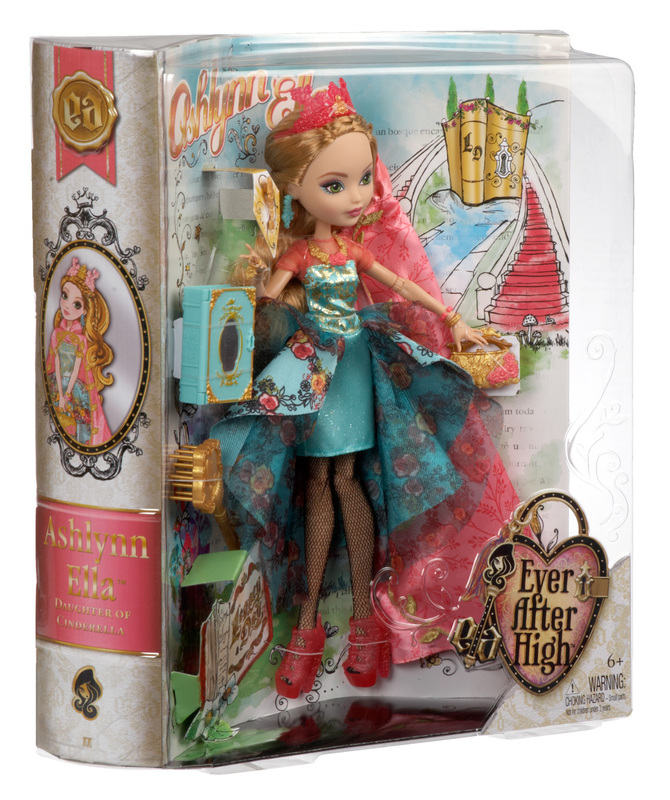 Time to spellebrate Legacy Day at Ever After High! At this epic event, the teenage sons and daughters of famous fairytale legends will pledge to follow in their parents’ fabled footsteps…but tradition is about to be turned on its crown! 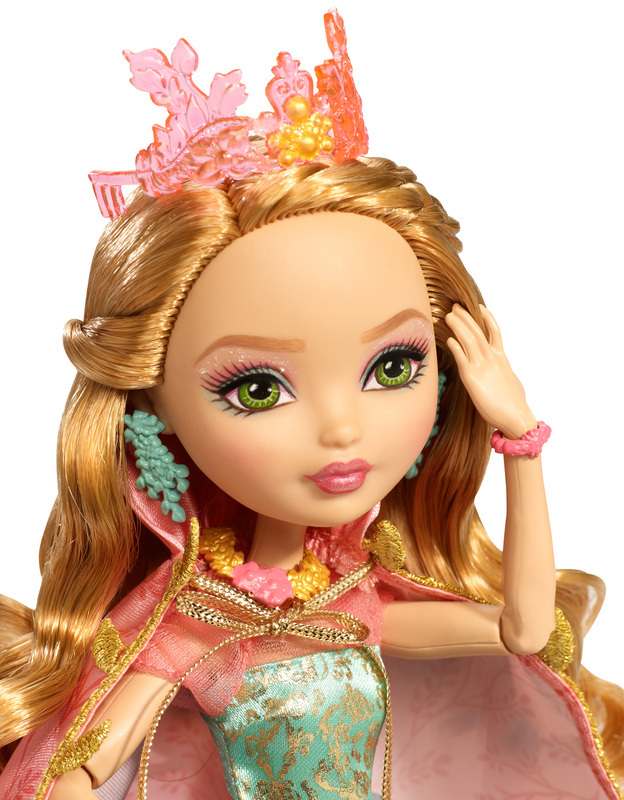 Ashlynn Ella, daughter of Cinderella and an Ever After Royal, is spellbinding in her signature look. Her gorgeous dress features a floral mint green print, tapered overlay and a golden filigree bodice. 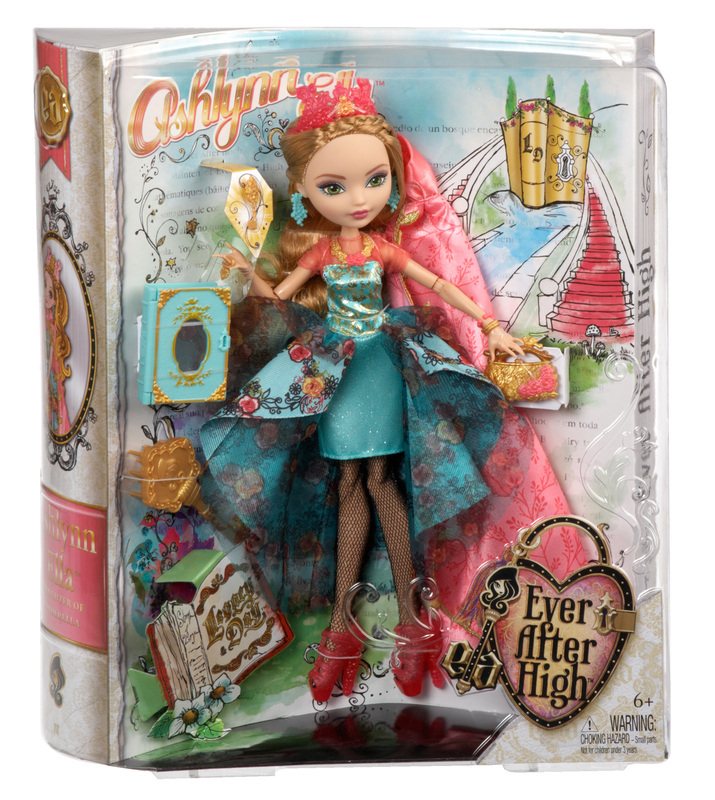 Paired with a dreamy, leaf-trimmed cape, mesh tights and translucent pink shoes, she’s ready to claim her destiny. Golden jewelry, a golden handbag and an ornate crown atop her beautifully braided hair complete the fashion story. 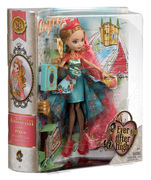 Ashlynn Ella doll also comes with a doll stand, doll hairbrush and book to store spellbinding accessories. 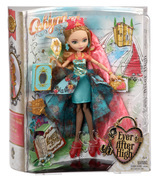 Collect other Legacy Day dolls (sold separately) to expand the storytelling fun! Ages 6 and older. Ashlynn Ella doll is ready to spellebrate Legacy Day in a spellbinding outfit. Her dress features floral mint green print, tapered overlay and a golden filigree bodice. A magnificent cape features delicate leaf print and golden leaf trim. 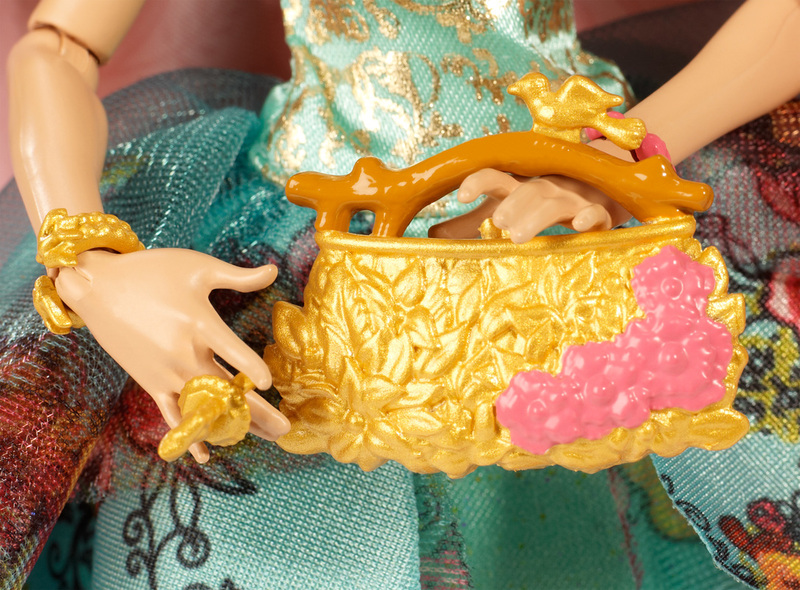 A charming crown, translucent pink shoes and a golden handbag are hexquisite accessories.